For the larger local government district, see Metropolitan Borough of Barnsley. For other uses, see Barnsley (disambiguation). Barnsley is a former industrial town centred on linen in its former years and coal mining, glassmaking and textiles. The industries declined in the 20th century. Barnsley's culture is rooted in its industrial heritage and it has a tradition of brass bands, originally created as social clubs by its mining communities. It is also home of the Barnsley chop. The town is accessed from junctions 36, 37 and 38 of the M1 motorway and has a railway station on the Hallam and Penistone Lines. Barnsley F.C. is the local football club, which has competed in the second tier of British football for most of its history. Barnsley F.C. also won the FA Cup in 1912. The first reference to Barnsley occurs in 1086 in the Domesday Book, in which it is called Berneslai and has a population of around 200. The origin of the name Barnsley is subject to debate, but Barnsley Council claims that its origins lie in the Saxon word "Berne", for barn or storehouse, and "Lay", for field. The town was in the parish of Silkstone and developed little until in the 1150s when it was given to the Pontefract Priory. The monks built a town where three roads met: the Sheffield to Wakefield, Rotherham to Huddersfield and Cheshire to Doncaster routes. The Domesday village became known as Old Barnsley, and a town grew up on the new site. The first passenger station to serve Barnsley was opened by the North Midland Railway in 1840. Barnsley station (latter called Cudworth railway station) was located some 2½ miles away at Cudworth. On 1 January 1850 the Manchester and Leeds Railway opened Barnsley Exchange station, close to the town centre. On 1 May 1870 the Midland Railway opened Regent Street station, a temporary structure. A new station was opened by the MR on the Regent Street site on 23 August 1873. As it incorporated the old court house in its construction Regent Street station was renamed Barnsley Court House station. Barnsley became a municipal borough in 1869, and a county borough in 1913. The town's boundaries were extended to absorb Ardsley and Monk Bretton in 1921 and Carlton in 1938. Barnsley was the site of a stampede that resulted in the deaths of 16 children in 1908, at a public hall now known as The Civic, when children were rushing to watch a film in the building. Barnsley has a long tradition of glass-making, however Barnsley is most famous for its coal mines. In 1960, there were 70 collieries within a 15-mile radius of Barnsley town centre, but the last of these closed in 1994. The National Union of Mineworkers still has its HQ in Barnsley. George Orwell mentioned the town in The Road to Wigan Pier. He arrived in the town on 11 March 1936 and spent a number of days in the town living in the houses of the working class miners while researching for the book. He wrote very critically of the council's expenditure on the construction of Barnsley Town Hall and claimed that the money should have been spent on improving the housing and living conditions of the local miners. 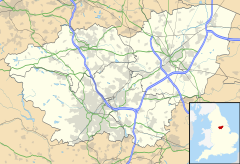 Barnsley was created a county borough in 1913, administered independently of the West Riding of Yorkshire. In 1974, following the Local Government Act 1972, the county borough was abolished and Barnsley became part of the Metropolitan Borough of Barnsley in the new county of South Yorkshire, along with nine urban districts and parts of two rural districts of the surrounding area, including many towns and villages including Penistone and Cudworth. Elections to Barnsley Metropolitan Borough Council have seen the Labour Party retain control of the council at every election. Following the latest election in 2012 the council has 53 Labour, 5 Barnsley Independent Group and 5 Conservative councillors. The borough council elects the mayor every year. On the day of the election, a parade takes place in front of the town hall in honour of the new mayor. Barnsley is split into four constituencies, Barnsley Central, whose MP is Dan Jarvis of the Labour party, Barnsley East, whose MP is Stephanie Peacock of the Labour party, Penistone and Stocksbridge, whose MP is Angela Smith of The Independent Group, and Wentworth and Dearne, whose MP is John Healey of the Labour Party. Ardsley, Athersley, Barugh Green, Darton, Carlton, Cudworth, Cundy Cross, Darfield, Dodworth, Elsecar, Gawber, Higham, Honeywell, Hoyland, Kendray, Kexbrough, Kingstone, Lundwood, Mapplewell, Monk Bretton, New Lodge, Oakwell, Old Town, Pogmoor, Royston, Shafton, Smithies, Staincross, Stairfoot, Wilthorpe, Woolley Colliery, Worsbrough (includes Worsbrough Bridge, Worsbrough Common, Worsbrough Dale, Worsbrough Village, and Ward Green), Wombwell. The town had a population of 91,297 in 2011. Barnsley is within a green belt region that extends into the borough and wider surrounding counties. It is in place to reduce urban sprawl, prevent the towns in the Barnsley/Dearne Valley conurbation from further convergence, protect the identity of outlying communities, encourage brownfield reuse, and preserve nearby countryside. This is achieved by restricting inappropriate development within the designated areas, and imposing stricter conditions on permitted building. The green belt surrounds the Barnsley built-up area, separating towns and villages throughout the borough. Larger outlying communities such as Cudworth, Dodworth, Kendray, Monk Bretton, and Worsbrough are also exempt from the green belt area. However, nearby smaller villages, hamlets and rural areas such as Swaithe, Smithley, Low Laithes, and Upper Norcroft are 'washed over' by the designation. Much semi-rural land on the fringes is also included. The green belt was first defined in 1979, and the area in 2017 amounted to some 23,050 hectares (230.5 km2; 89.0 sq mi), 77% of the borough. A subsidiary aim of the green belt is to encourage recreation and leisure interests, with rural landscape features, greenfield areas and facilities including the River Dearne valley, and tributaries Cawthorne Dyke and Tanyard Beck; Hugset and Dovecliffe Woods; Worsbrough Mill Park and reservoir; Dearne Valley Park; Trans Pennine Trail; Kendray recreation ground; Locke Park; Stainborough Cricket Club and Park; Wentworth Castle and gardens; Barnsley Colliery; Monk Bretton Priory; Laithes Lane playing fields; and Barnsley Golf Club. Beyond Penistone, the green belt also borders the Peak District National Park. The winding tower of the former Barnsley Main Colliery seen in 2006. The town was known for a thriving linen trade prior to the arrival of the coal industry. From the 1850s onwards, a large number of coal pits were opened, mostly in the villages surrounding the town, especially those to the east. Coal mining was the major industry of the town until the late 1950s, when a long-term decline set in. All the mines in the borough are now closed, the last to shut being Goldthorpe Colliery in 1994. Wire, linen and glass making were also major industries, but only glass making remains, with one company still operating. The coat of arms for the town has both a coal miner and a glass-blower supporting a shield and depicting local families and other industries, above a ribbon bearing the town's motto, Spectemur agendo ("Let us be judged by our acts"). Major companies in Barnsley include online retailer ASOS, the largest cake bakery in Europe, Premier Foods (formerly Lyons Bakery) who make the Mr Kipling Cake brand, Ardagh Glass (glass bottle makers), Symphony Kitchens, Premdor, several double glazing joinery manufacturers and a number of other large food manufacturers. Most of these businesses are based on industrial parks outside the town centre including many on reclaimed former coal mine sites. The town centre is now moving towards a service economy. In July 2007, unemployment stood at 2.8% in Barnsley West & Penistone, 4.2% in Barnsley Central and 4.0% in Barnsley East & Mexborough, compared to the national average of 3.1%. Between 1997 and 2007, unemployment fell by 55.2%, 52.5% and 52.5% in the three areas respectively. In 2002, Barnsley Council and partners launched a consultation, "Rethinking Barnsley". It led to a regeneration programme centred on the town centre which is still underway. Developments included the transport interchange, a cultural centre in the old Civic Hall, a Digital Media Centre (opened August 2007), and new offices and apartments throughout the town centre. At the same time new housing areas were developed. Business parks on the M1 at Junctions 37 and 36, and in the Dearne Valley, have expanded job opportunities. Unemployment is now below the national average. The economic development of Barnsley is led by the Barnsley Development Agency. Significant industrial employers include the Ardagh Group. A large part of Barnsley town centre was constructed during the 1960s. The area around Cheapside and May Day Green, the Metropolitan Centre, is home to the market and many national high street chains such as Marks & Spencer, Carphone Warehouse, Vodafone, Boots, and The Body Shop. It is in the process of renovation to make space for a new retail and leisure development. Alhambra Shopping Centre, which was opened in 1991, houses retailers such as Next, Poundstretcher,and Primark. Other prominent areas include Queen Street, home to Marks and Spencer, Market Street, Eldon Street and the Victorian Arcade, which houses the majority of the independent and designer retailers in Barnsley. The town also has a large concentration of pubs and bars in the central district. There is also a twin auditorium cinema called Parkway Cinema Barnsley occupying what once was the Odeon Cinema on Eldon Street. Outside the town centre are large retail units, retail parks and supermarkets, which include Asda, Morrisons, Currys, and Halfords. The development of a new shopping centre was started in the town centre in late 2015. The new Barnsley Interchange (now completed). The Digital Media Centre (now completed). Gateway Plaza at Town End (now completed). Barnsley College A Block was completed and opened in September 2011. Cannon Hall Farm, is a working farm and tourist attraction. Barnsley Main, a Grade 2 listed building and the last remaining pithead in Barnsley, currently under development. The first bottle bank for glass recycling collection in the United Kingdom was introduced by both Stanley Race CBE, then president of the Glass Manufacturers' Federation and major employer Redfearn's (now Rexam Glass) and Ron England in Barnsley. The bottle bank opened on 24 August 1977. The main transport hub is Barnsley Interchange, a combined rail and bus station that was opened on Sunday 20 May 2007, and was the first project in the remaking Barnsley scheme to be completed. Stagecoach Yorkshire run most bus services within Barnsley, operating to and from Barnsley Interchange. Stagecoach acquired the company from Yorkshire Traction in 2005. Train services are provided by Northern. Northbound there is a half-hourly express service to Leeds which takes around 35 minutes augmented by a slower service via Castleford which takes around 50 minutes. There is an hourly service to Huddersfield via the Penistone Line. Southbound there are four trains per hour to Meadowhall Interchange and Sheffield, two of which are local stopping services and two of which are express. One service per hour continues to Chesterfield and Nottingham. Evenings and Sundays there is a less frequent service. Dodworth railway station west of the town centre, which is a stop on the Penistone Line, and has one platform. Darton railway station however, is on the Hallam Line, has two platforms and is in the north of Barnsley. The nearest airport is Robin Hood Airport approximately 26 miles (42 km) away. Barnsley College is one of the largest further and higher education establishments in Europe and is situated on a number of sites throughout the town centre, chiefly the Old Mill Lane Site, Eastgate House, The Sci Tech Centre, the Honeywell Site and the Construction centre. The University of Huddersfield has recently opened a campus in the town on Church Street besides Barnsley Town Hall. This is known as the University Campus Barnsley. All 14 secondary schools in Barnsley were demolished and replaced by academy education centres, named 'SuperSchools' these new schools combined all the previous LEA run comprehensive schools in the area into newly PFI built Academies under the Building Schools for the Future programme. The Awkward Squad featuring former members of Shagpile led by venerable and legendary award-winning folk-performer Dave Burland. The Bar-Steward Sons of Val Doonican are a musical-comedy band who have played almost 1000 shows since they formed in 2006. Their parody songs are performed in a Barnsley accent and dialect. The Danse Society - A positive punk-gothic rock group from Barnsley, active from 1981 to 1987. Lately reformed. Kate Rusby, a folk singer/songwriter, has lived in Barnsley since birth. John Stones, Manchester City football player and England international, was born there. The 'Bard of Barnsley' Ian McMillan writes a column in the Barnsley Chronicle. He was nominated for a chair of poetry at Oxford University, and appears on BBC Radio 4. Barnsley has long been known as Tarn by locals. Ken Loach's 1969 film Kes was set and filmed in several villages in Barnsley, including Lundwood and Monk Bretton, using local actors such as Freddie Fletcher. His 1977 film The Price of Coal was set at a fictional Milton colliery in the Barnsley area, although the site of filming was Thorpe Hesley, near Rotherham. There is a live rock and hip hop music scene, which reached its height in the Britpop years, around 1997, due to its close proximity to Sheffield and Manchester. The 1980s saw the rise of Saxon (metal band), Danse Society (Goth) and Party Day (Indie-rock). Two of the Arctic Monkeys studied music at Barnsley College and Barnsley has its own rappers 'Yes Sir'. Barnsley is the home of several live music venues such as The Underground, Shambles St and formerly hosted the Barnsley Origin Music festival (BOMfest), an outdoor summer music festival which catered for local and national artists which made the Daily Telegraph top 100 U.K. Summer festivals in 2009. Barnsley Council operates five museums, Elsecar Heritage Centre, Cannon Hall, the Cooper Gallery Worsbrough Mill and Experience Barnsley which opened in the Town Hall in 2015. Other museums in Barnsley include the volunteer-run Darfield Museum and the Cawthorne Victoria Jubilee Museum. Other heritage sites include Wortley Top Forge, Wortley Hall, Wentworth Castle, Monk Bretton Priory and Pot House Hamlet. The Academy Theatre is part of the Take 2 Centre where performances range from comedy, West End performers, musicals and the traditional "An Evening With... ". The Take 2 Centre houses The Take 2 Performing Arts Academy, The Academy Cafe, The Take 2 Music Centre and Lynx Training and Development. The Civic, in Barnsley town centre, is a multi-purpose performance venue in a grade II listed building, The Civic was re-opened in March 2009 after a major redevelopment. The Civic has hosted high-profile acts such as Al Murray and Russell Howard. The Civic houses a contemporary art gallery that hosts touring exhibition from the V&A and the Flow Gallery in London. The Civic also curates its own work for touring, such as Little Black Dress and most recently Brazil +55. Barnsley F.C. play in the League One, the third tier of English football. Their home ground, Oakwell Stadium is situated in Oakwell, just outside the town centre. The club has had a mixed recent history. In the late 1990s they had a brief spell in the Premier League, but were relegated after one season. Subsequent seasons saw them relegated to the third tier of English football; they were promoted to the second tier in 2006, beating Swansea in the play off final. They were relegated in the 2013/14 season. After two seasons, Barnsley regained a place in the second tier, following a victory at Wembley in the 2016 Football League One play-off Final, and the winners of the 2016 Football League Trophy Final. They were again relegated to the third tier en the end of the 2017/2018 season. Also in Barnsley, there is a women's football team called Barnsley L.F.C., who currently play in the North East Regional Women's Football League Premier Division. Speedway racing was staged at a track near Barnsley at Lundwood. The track entered a team in the Northern Leagues of 1929 and 1930. Two time British Under-21 Championship rider Josh Bates hails from the town. Rugby league is played in the town, at a number of clubs, past and present. Dodworth ARLFC played in the second division of the BARLA run Pennine League, playing through the winter. They played at the Miners Welfare ground in Dodworth until deteriorating player participation forced the club to fold 5 games into the 2013/14 season. The same fate befell Hoyland Vikings ARLFC, prompting talk of a merger. This however failed to materialise leaving only one club to represent the town. The only representation now comes from the Dearne Valley Bulldogs in nearby Bolton on Dearne. Like Dodworth and Hoyland, they participate in the Pennine League. Barnsley Broncos play in the RFL conference, which is a summer competition and runs from May to September. Also based at the Miners Welfare, Barnsley Broncos were set up to play in the less intense summer season. Shaw Lane is the home to many sports in town, cricket, rugby union, squash, bowls, football, athletics and archery are all played to a high standard and host many of the towns teams including Barnsley CC and Barnsley RUFC. Peoples Sport in Barnsley is a project writing the history of participation in sport in Barnsley is in progress and is expected to be complete in 2015. The town also has a high standard badminton league, with three separate tiers. The town is home to Barnsley Harriers, a nationally recognised running club. Ardsley Golf Club, Barnsley, (now defunct) first appeared in the 1930s. The club disappeared at the onset of the Second World War. Golf can still be played at Hillies in Wombwell and there is also a driving range at Staincross. There are a number of cycling clubs in and around Barnsley, including Barnsley Road Club itself, the long-established Birdwell Wheelers and Team Cystic Fibrosis (a charity-focused team), together covering many different forms of cycle sport and leisure. There have also been various other initiatives set up to promote cycling in the town and district of Barnsley. ^ a b "Barnsley Life". Barnsley MBC. Archived from the original on 3 August 2009. Retrieved 5 July 2009. ^ "Vision of Britain website". Retrieved 24 October 2014. ^ Douglass, David John (2005). Strike, not the end of the story. Overton, Yorkshire, UK: National Coal Mining Museum for England. p. 45. ^ "Labour's majority up to 23 - full election results here". Barnsley Chronicle. 6 May 2011. Retrieved 22 June 2011. ^ a b c d "Green Belt review". www.barnsley.gov.uk. ^ "Former coal mining village of Goldthorpe marks funeral by torching Thatcher effigy". The Australian. 18 April 2013. Retrieved 19 April 2013. ^ "Wentworth Castle Gardens : Welcome to Wentworth Castle Gardens". Archived from the original on 6 June 2012. Retrieved 24 October 2014. ^ "Wortley Hall". Retrieved 24 October 2014. ^ "Wortley Top Forge". Retrieved 24 October 2014. ^ "Barnsley DMC: Barnsley office space, offices, meeting rooms". Retrieved 24 October 2014. ^ "Capitol Park - Barnsley". Archived from the original on 29 May 2014. ^ Ledgard Jepson. "BDA". Retrieved 24 October 2014. ^ "£40m redevelopment of Barnsley town centre". BBC News. Retrieved 24 October 2014. ^ "Home - The Glass Works". The Glass Works. ^ "Barnsley Main: Marking Mining - Dearne Valley Landscape Partnership". ^ "Barnsley College". CGI. n.d. Retrieved 3 April 2019. ^ White, Graham, Barnsley Chronicle, 4 February 1983. ^ Jepson, Ledgard. "Experience Barnsley - Official website - Annual Review". www.experience-barnsley.com. ^ ": Hive Gallery : Contemporary Art Gallery : Barnsley :". Retrieved 24 October 2014. ^ "The Academy Theatre Barnsley. Live Entertainment located at The Take 2 Centre in Birdwell, Barnsley". Retrieved 24 October 2014. ^ "The TAKE 2 Centre". Retrieved 24 October 2014. ^ a b c "Town twinning Information about town twinning". Barnsley Metropolitan Borough Council. 12 November 2012. Retrieved 14 July 2013. ^ “Ardsley Golf Club”, “Golf’s Missing Links”. Wikimedia Commons has media related to Barnsley. Wikivoyage has a travel guide for Barnsley. Look up Barnsley in Wiktionary, the free dictionary. "Barnsley" . Encyclopædia Britannica. 3 (11th ed.). 1911.